PACK & SEND West Ryde in Sydney, New South Wales provides total courier and freight delivery services and complete packaging solutions for customers in and around West Ryde. 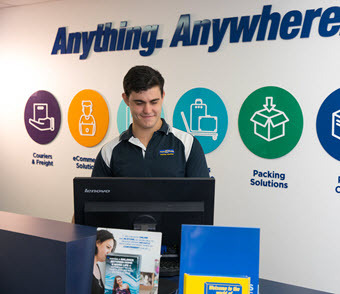 Contact PACK & SEND West Ryde service centre in West ryde now to get a quote for all your packing and shipping needs. NEVER use pack and send west ryde. He tried to make me pay $1400 for a $385 freight! He was a liar and a cheat, these two price comparisons are between pack and send West Ryde and North Ryde, not even a competitor! I will never deal with Pack and Send West Ryde for the simple reason of Jamal! I’ve never experienced such a blatant lie to my face, he would have been completely fine to take my money had I not called around to inquire pricing. Wish I could give -5 stars, extremely poor. Terrible service, and terrible pricing. Do not reccomend. Go to north ryde instead. Much better staff and pricing. Poor customer service and no coming back any more again . Very rude customer service! Instead of greeting to the customer over the phone, the guy speaks like "who do you want"! I wish I can give zero star. The worst company with very bad service and dishonest with the customers and honestly I would not recommend and trust the service. They charge me $400 for a parcel shipping and 1 month later return it back to me as fail to ship and do not care or respect customer rights. Do not go there! They have charged us over $ 125.00 to send a very small parcel overseas, a week later for the same parcel sent in "Pack and Send" Parramatta we were charged $ 75.00 go and figure out!! Same conditions with DHL. Used them for sending many items from AU to NZ. Phil from Pack&Send West Ryde has been absolute pleasure to deal with. He was very prompt with quotes and replies and will happily recommend this branch to anyone. Being a Aussie expat living in Eastern Europe, I used Pack & Send couriers to get some documents (from Macquarie University and Meadowbank TAFE) couriered to USA for a univerisity course, to which I was applying. I was in contact with Phil, who was very attentive and responsive, all through bad skype connections etc. They work together with DHL, and provide an efficient and personalised service. I count this as a fortunate find. I would very much recommend them.